Root Simple has a large, virtual dust bin full of news and notions not quite worthy of a full blog post. I thought I’d sweep a few of them into a brief missive. In the great greywater vs. graywater debate I neglected to note a somewhat irrelevant factoid: Sherwin-Williams sells a paint color named after the actor/monologist Spalding Gray. When will Werner Herzog get a paint color? I couldn’t find my library’s online Oxford English Dictionary access. Then I did some digging and discovered it. 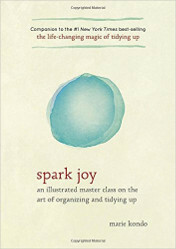 For those of you in Los Angeles you can access the OED with your library card number here. While you’re on the LA Library’s website, take a look at their scanned collection of vintage menus, including the Brown Derby and Cocoanut Grove. The part of Los Angeles we live in or on the border of (the border region is disputed) is Silver Lake. Silver Lake is two words my brothers and sisters. If I downed a matcha latte for every time I’ve seen “Silverlake” I’d be a wealthy, if green tinted man. FYI, Silver Lake is named after Herman Silver, a water commissioner and city councilman from the early 1900s. Perhaps we should rename our lake and community after Spalding Gray. Welcome to Gray Lake! But then, I suppose, we’d have the grey vs. gray problem. While we’re on the topic of local news, the band Yacht, in their latest video, has included the beloved “happy foot/sad foot” characters from the rotating podiatrist’s sign that defines and delineates us from greater Silver Lake. This is why we have the internets. 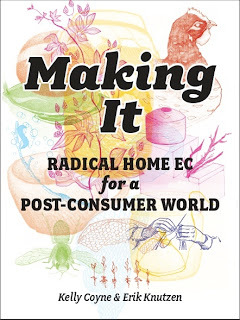 Technology, such as air conditioning, has a way of flattening the ups and downs of our life’s experiences. We trade seasonal heat and cold for a bland, indoor sameness. Prior to the late 1950s, when air conditioning appeared in homes and apartments, builders used to have to consider regional differences. After air conditioning you could build any house anywhere. 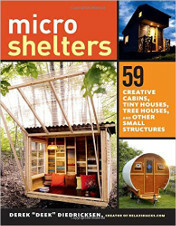 You could replace walls with sheets of glass, overhanging roofs with modernist boxes. Particularly in hot, humid climates houses often had a screened porch or balcony on which to sleep on a sweltering night. 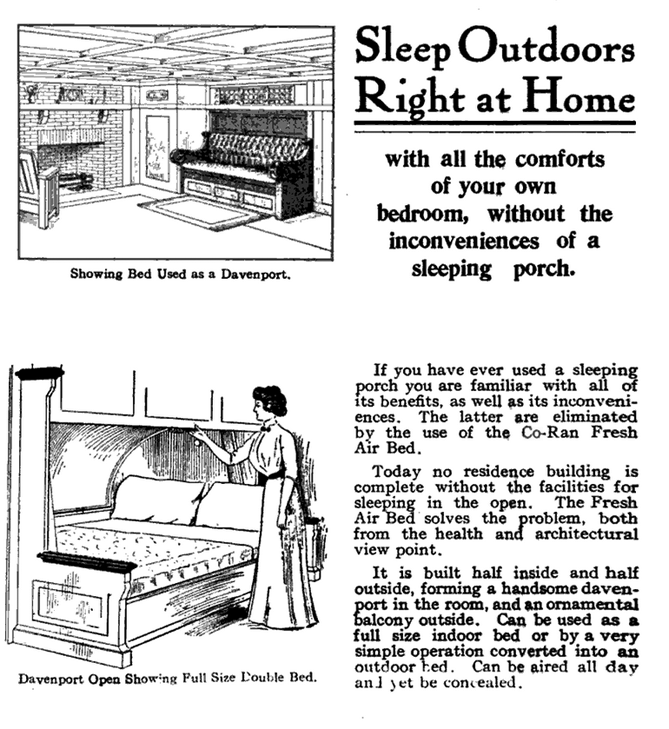 The early 20th century was probably the zenith of the screened sleeping porch. Taft’s sleeping porch. Photo: Library of Congress. 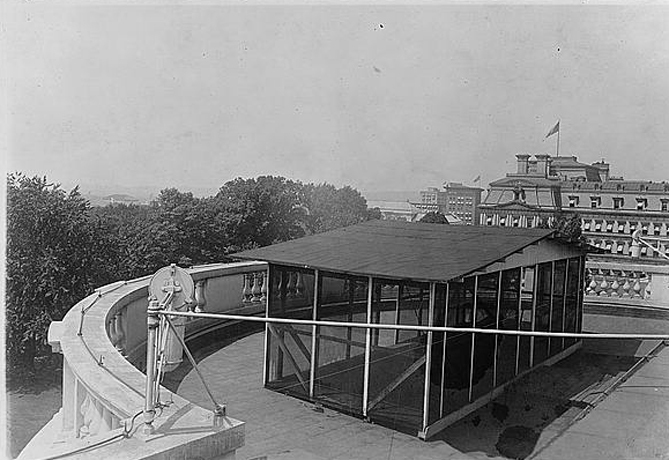 President Taft even installed one on the roof of the White House in 1910. The early 20th century’s sleeping porch movement also had a bit an anti-modernity vibe. To mitigate the pollution and psychic toll caused by 19th century industrialization, sleeping porch evangelists recommended dozing outside in fresh air. Entrepreneurs marketed a number of solutions, in addition to sleeping porches, such as sheds, tents and the gadget I want to focus on in this post, the convertible indoor/outdoor bed. It is built half inside and half outside, forming a handsome davenport in the room, and an ornamental balcony outside. 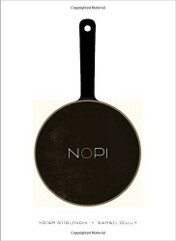 Can be used as a full size indoor bed or by a very simple operation converted into an outdoor bed. Can be aired all day and yet be concealed. It’s a space saving mashup of the fold-up Murphy bed with the screened porch. It also reminds me of Thomas Jefferson’s alcove bed and the built-in ironing board in our kitchen. 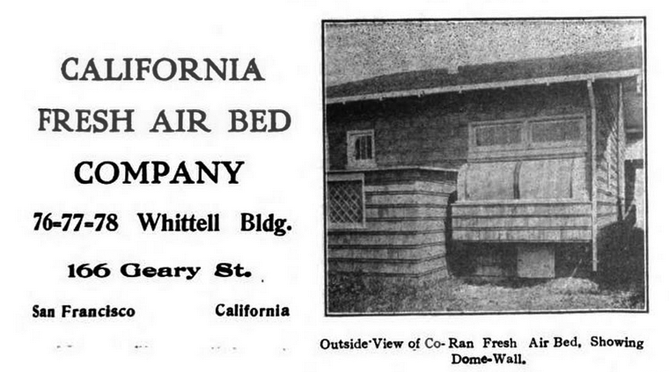 There’s a lot to say in favor of reviving the California Fresh Air Bed Company. I can say from personal experience, living in a house built in 1920, that space is at a premium. And, particularly in the late summer and early fall here in Southern California, it would be nice to be able to get some cool, fresh air at night. The downside would be all the light pollution: the overabundance of street lights, billboards, porch lights etc. A related and, perhaps, more harebrained outdoor sleeping arrangement was the window cage for your baby. 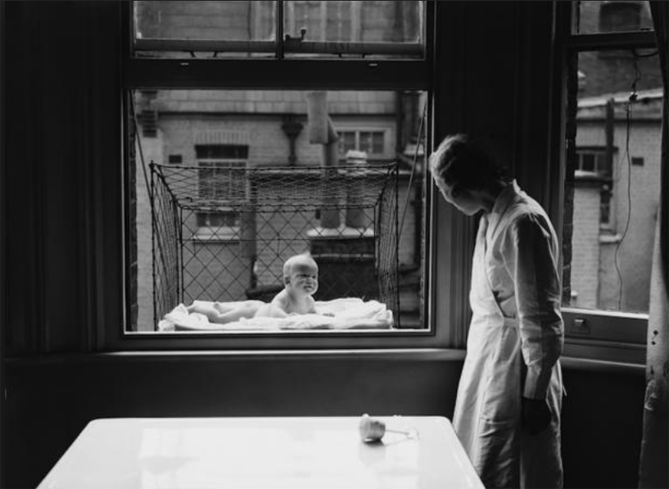 These days child protective services would stop by if you stuck your kid in a cage out the window. 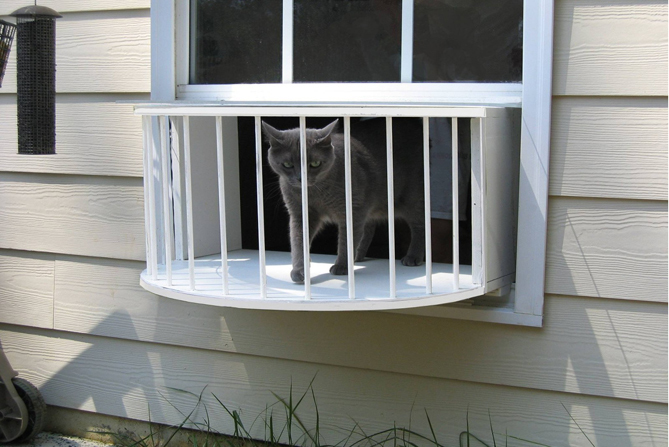 The idea lives on, but only for cats, in the form of the Cat Solarium and in many homebrew kitty window solutions. But enough about cats, what we really need is to bring back the California Fresh Air Bed Company’s clever indoor/outdoor bed. As many consider downsizing to smaller houses, space and energy saving furniture such as this make more sense than the oversized sofa sectionals that plague our modern mega-houses. I mentioned last week that episodic TV, YouTube videos and a recliner are an important part of Kelly’s open heart surgery recovery process. Our breeches are still deep in that Jas. Townsend and Son 18th century YouTube cooking hole, where we’re learning about cleaning pots with brick dust and how to make Norfolk dumplings on the go. Australian reader Jampotts reminded me of another wildly popular YouTuber who just goes by the handle “Primitive Technology.” The anonymous creator of the these wordless videos, shot in northern extreme of Queensland, Australia uses a “show me don’t tell me” philosophy of film making that I greatly admire. No long, babbling intros! He has a blog that describes the content of his videos in more detail. People like John Townsend and the Primitive Technology guy are the good side of the internet, producing quality work that’s a lot better than mainstream television. If you have a favorite YouTube channel let us know about it in the comments. 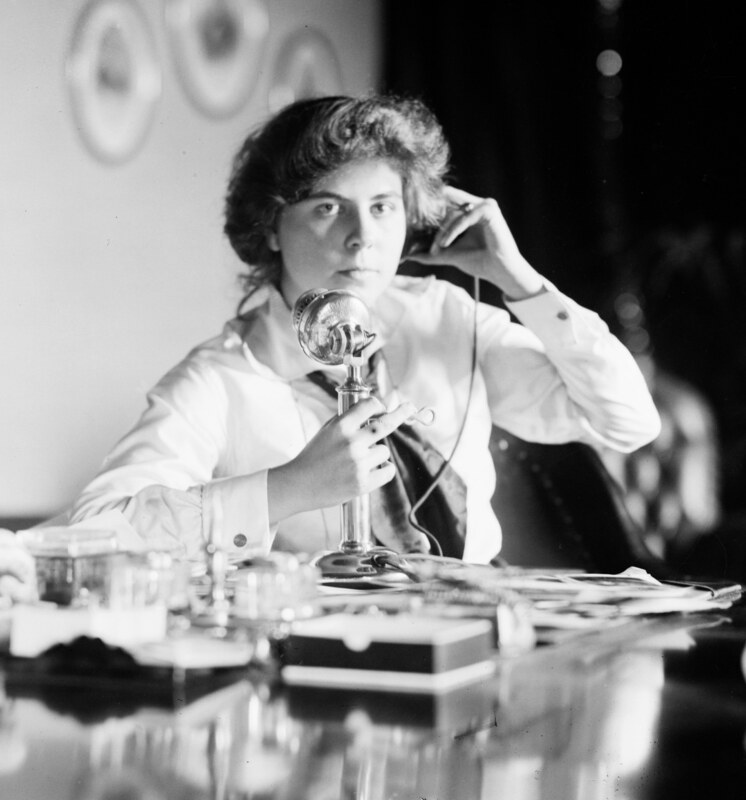 Image: Wikipedia, Genevieve Clark using a candlestick phone. The most common service call for telephone technicians back in the 1920s was to muffle the obnoxious sound of the ringer. Why were those bells so loud? The phone company didn’t make money until you lifted the receiver. It was in their interest for you to answer the phone. Now you can have the genuine, ear splitting sound of a 1920s era telephone ringer box on your shiny new iPhone or Android device. I recorded the sound of my Western Electric 534A ringer box and turned it into a ringtone that you can download here for $1.29 in the iTunes store. I also uploaded a free version that you can download here as an mp3. If you download the free version you can turn that audio file into a ringtone using these directions. If the ringtone proves popular I’ll make a Western Electric 500 version and, perhaps, turn the sound of hungry cats into a ringtone that is sure to disrupt your next meeting.